26th July. Posted in News. Hamilton Adhesive Labels, a leading manufacturer of printed and plain labels for the food and drink, industrial, household and personal care sectors, has made a significant investment to enable the business to offer the most efficient, fastest in-line production capability in Europe. 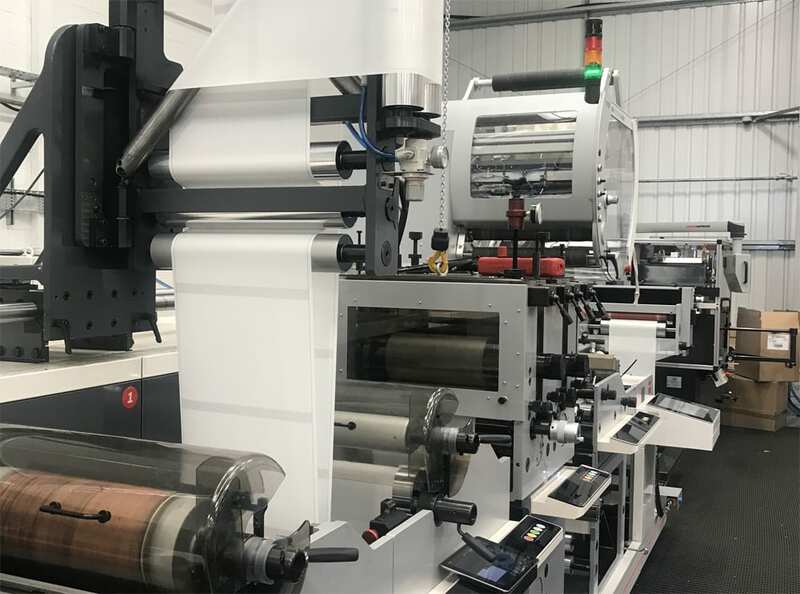 The new technology, for plain label manufacturing, represents a £750,000 investment for the business and integrates technologies from three different market leading machine suppliers to enable the ground-breaking production solution. Paul Larkin, Operations Director at Hamilton Adhesive Labels, said: “Over the past few years we have worked hard to deliver operational excellence, focussed on quality and driven our competitive advantage. As a result, the business has grown significantly, reinforcing our reputation as a leading provider in the UK labels market. “This cutting-edge new line represents the next stage of our wide-ranging business investment programme which includes increasing capacity on site and the creation of new jobs. Uniquely incorporating technologies from three different suppliers, the line delivers an up-to-the-minute solution that allows us to deliver real, tangible benefits to our customers, in terms of quality, cost and turnaround. The new line will further enhance Hamilton’s industrial label production capabilities at its 40,000ft2 manufacturing and warehouse facility in Leicestershire where it currently employs 65 people. Suitable for product identification, variable data over printing, case labelling, bar coding and logistics, Hamilton’s wide range of industrial labels are produced with the highest possible level of automation. The new line will bolster the range’s ultra-efficient manufacture, cost effective production and minimum lead times. Established in 1993 in Leicestershire, Hamilton Adhesive Labels has grown to become a leading manufacturer of printed and plain labels for the food & drink, industrial, personal and household care sectors.